• Very low publication cost (US$10/per page x number of pages published in the journal) for papers published in the journal (SPECIAL NOTE: Publication in the journal is not restricted to only those with funds. If you lack publication funds, and still would like to publish your results in the journal, please contact the publisher at: arc.publisher@gmail.com to discuss the matter and make arrangements to have your publication fund requirement waived, if it applies (most appropriate for developing countries but others may apply as well). • Full peer-review for every paper published. • Superior professional graphic design and paper layout for high visual impact. • Virtually unlimited use of full-color pictures and graphics to illustrate your paper. • All papers published immediately upon completion, usually within minutes but always before midnight Mountain Standard Time (MST). • Fast turn around time from initial submission to final publication; typically within 60 to 90 days. Average for all new species descriptions (12 new taxa---112, 19, 79, 71, 50, 112, 30, 64, 41, 83---to date and seven new taxonomic revisions---95, 68) is 71 days from initial submission to date published! • Complete exposure of published papers through presentation within the media (press releases and published articles in allied publishing venues such as Mongabay.com), Facebook (and other social media), ARC News Alerts (newsletters), and other outlets to enhance distribution and publicity for authors' research results. • High standards of ethical conduct controlled at every stage of the publication cycle. • Recognized within the herpetology community. • Database indexing with Thomson Reuters (BIOSIS Previews, Biological Abstracts, Zoological Record), Directory of Open Access Journals, Biodiversity Heritage Library, and Zen Scientist (Open Access Journals). • Published in the United States of America. Copyright: © 2018 Craig Hassapakis. This is an open-access article distributed under the terms of the Creative Commons Attribution-NonCommercial-NoDerivatives 4.0 International License, which permits unrestricted use for non-commercial and education purposes only, in any medium, provided the original author and the official and authorized publication sources are recognized and properly credited. The official and authorized publication credit sources, which will be duly enforced, are as follows: official journal title Amphibian & Reptile Conservation; official journal website <amphibian-reptile-conservation.org>. In addition, if an article or any of our content appears on another website and claims to be Amphibian & Reptile Conservation, Amphibian and Reptile Conservation, or ARC, it is fraudulent and in violation of international law. Our contributions only appear on this website, the official and authorized website for the journal Amphibian & Reptile Conservation (ISSN: 1083-446X; eISSN: 1525-9153; Founded: 1996; Published in the USA; Editor: arc.publisher@gmail.com) to be considered legitimate, and must bear our trademark (see below our official logo exhibited on this web page and this logo appearing on top of the first page of all published papers). Photographs: (Above) Diamond Anadia (Anadia rhombifera). 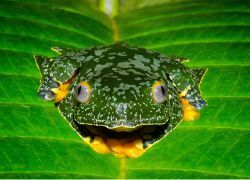 (Below) Fringed Leaf Treefrog (Cruziohyla craspedopus). Permission kindly granted by Ryan L. Lynch/The Biodiversity Group. Amphibian & Reptile Conservation (ARC) is an open-access international journal that is published twice per year (semi-annually). ARC publishes original peer-reviewed research, reviews, short communications, new species descriptions, country overviews, and more, focusing on a variety of topics relating to the biology, conservation, natural history, and diversity of the world's amphibians and reptiles. ARC features exceptional graphic design and unlimited use of full-color photographs to maximize appeal to all audiences, quick turn-around time from submission to publication, and exposure within the media (press releases, social networking, etc.) to enhance distribution and publicity for our authors' research results. Each issue normally focuses on a specific country or topic, which is illustrated by the cover photo. The first half of the journal is devoted to the special topic and the second half contains all other papers that are submitted during the time frame for that particular issue. Papers accepted for publication go through a rigorous peer-review process and must be deemed scientifically sound and meet professional standards of ethical conduct. 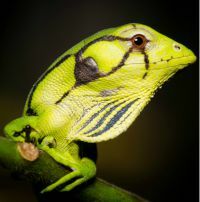 Contributed or invited manuscripts may focus on a variety of topics directly relevant to amphibian and reptilian conservation. In addition, space is allocated for other important papers, perhaps not directly relevant to conservation, but nonetheless important to the broader field of herpetology. ARC has been privately funded by the founder, editor, and publisher of the journal Craig Hassapakis and his supporters the past 20 years (since its founding in 1996), but the majority of efforts and production work (editing, graphic design, website maintenance and operation, etc.) are contributed on a voluntary basis; thus, we function as a nonprofit organization for the preservation and conservation of amphibian and reptilian species worldwide. We are pleased to hear from others who care about the conservation of amphibians and reptiles as much as we do and who can lend a hand wherever possible. A prime example of volunteer work within the ARC organization is exhibited through our expert ARC Editorial Board where all papers are presented for editing and approval for publication. 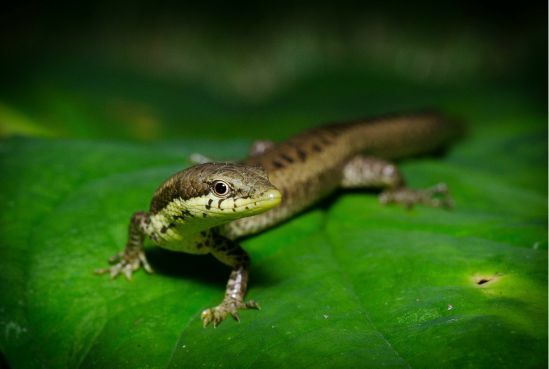 Our core goal is to have the most widely read and distributed publication in herpetology with relevant content that maximizes conservation action and results, while also advocating for and promoting the exciting field of herpetology. Extremely modest page charges are collected (US$10/per page x number of pages published in the journal) for those who have access to publication funding but no one is blocked from publication in the journal for lack of publication costs (see Publication Waiver Agreement by contacting the publisher at: arc.publisher@gmail.com).